Gerardo is constantly pointing out to new customers that along with its “astonishingly good” New York Pizza, Buono offers Italian cuisine that people rave about. Little League and club teams often visit Buono en masse, which seats 50 people in its 1,400 square feet, features three big screen TVs, games for kids, outdoor seating, ample parking, and serves both beer and wine. Besides pizza and traditional Italian dishes, it also serves sandwiches, fries, salads, kid’s meals, chicken wings, soups and varied desserts. Anna helped her mom in the family kitchen since she was 12, always tweaking new menu items, and Gerardo comes from a family of chefs who have more than 25 years experience apiece in the restaurant business. Three of the brothers are area chefs - one at California Pizza Kitchen in Newport Beach, one at Finbars in Costa Mesa, and the other was formerly a chef at Pepino’s in San Clemente. The brothers tutored Gerardo on menus and serving the public from childhood, and they worked with Anna, Gerardo and the Buono chefs before Buono opened on Sept. 21, 2004. Traditional Italian dishes at Buono include: Pescatore: Fresh clams, mussels, halibut, jumbo shrimp, calamari, and crab, sautéed in delicious fresh garlic and red or white wine sauce, spiced to perfection and served over linguini. Cioppino: Fresh clams, scallops, mussels, halibut, jumbo shrimp and crab, sautéed in a white or red wine sauce in a bowl of rich seafood stew. Chicken Sorrentino: Breast of chicken sautéed with mushrooms, onion, bacon and black olives in a marsala wine sauce, then baked with mozzarella cheese and served with pasta and meat sauce. Casserole dishes include traditional Italian recipe lasagna, manicotti, cannelloni, eggplant parmigiana, baked sausage and peppers, baked ziti or rigatoni, baked cheese tortellini and baked cheese or meat ravioli. The 14 sandwich choices range from Genoa salami and provolone to ham and cheese or meatball. Soups and salads include minestrone, clam chowder, pasta fasul, plus salads of BBQ chicken, Caesar shrimp and 11 other varieties. A firm believer in healthy fare, Anna advises, “Be sure to try my newly-created Anna’s Special which features many yummy vegetables. It’s grilled chicken over sautéed squash, mushrooms, spinach, mixed peppers, tomatoes, onions, cilantro, asparagus, herbs, with olive oil and Romano and mozzarella cheese over pasta, on request, for just $14.95.” Anna’s special menu touches are found in many more of Buono’s dressings, shrimp and meatball recipes. There are also 14 appetizers available. “Specials” are offered for both lunch and dinner, and there is a catering menu that fills an entire page. New York Pizzas (and thick-crust pizza available on request) range from the mini 10-inch from $6.48 to the 18-inch whopper from $14.95, and you can choose from 21 optional toppings. The kids’ menu features smaller portions with prices starting at $4.95. Desserts feature tiramisu, cannoli, spumoni, chocolate cake and flan. The new “Edible Image Pizza” bears a cartoon or holiday icon (Father’s, Mother’s Day, Anniversary, etc. ), or a sports-oriented image, that Buono affixes atop a pizza, much in the way you see cakes with a special message on the top. Money saving coupons abound on Buono’s web site at www.buonopizzandpastas.com. Kids 10 and under eat free on Monday and Tuesday with an adult meal purchase, and seniors get 15% off on Thursdays from 4-9 pm. Gift certificates are available. Buono makes delivery orders to San Clemente, Talega, the north side of Camp Pendleton, Capo Beach, and caters locally and in surrounding cities. Gerardo discusses his restaurant with obvious love: “We begin mornings by patiently baking our fresh bread, preparing our fresh pizza dough, dressings, sauces, and soups, and taking enough time to blend our unique spices to ultimate perfection. “The seafood is fresh daily, our recipes were crafted with years of experience and tradition, and each meal is hand-crafted and prepared as you order it. We don’t believe in pre-proportioning our servings as some restaurants do. We always deliver portions that give our customer full satisfaction. 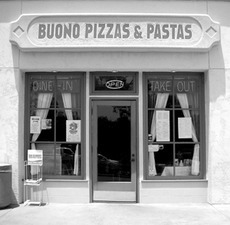 Buono Pizza and Pastas is open daily, 11 am to 10 pm at 800 Avenida Pico, Suite T, San Clemente, CA 92672, at the confluence of Calle Frontera and Presidio. 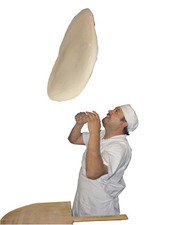 Phone: 949-366-3606 | Fax: 949.369.1567 www.buonopizzandpastas.com.